length and weight of door leaves. Linear operators are the optimum solution for automation of domestic and industrial swing doors with medium and high intensity of use. Their main peculiarity consists in their installation on narrow posts, to which the door wings are attached. The linear operators are mounted against a door leaf and a post by means of two brackets. The gear motor operators a rod, connected with the door wing, due to this it is opened and closed. The manual operator release is carried out by a special key. Arm gate operators are designed for automation of residential swing gates and wickets. They are easily installed without any welding. 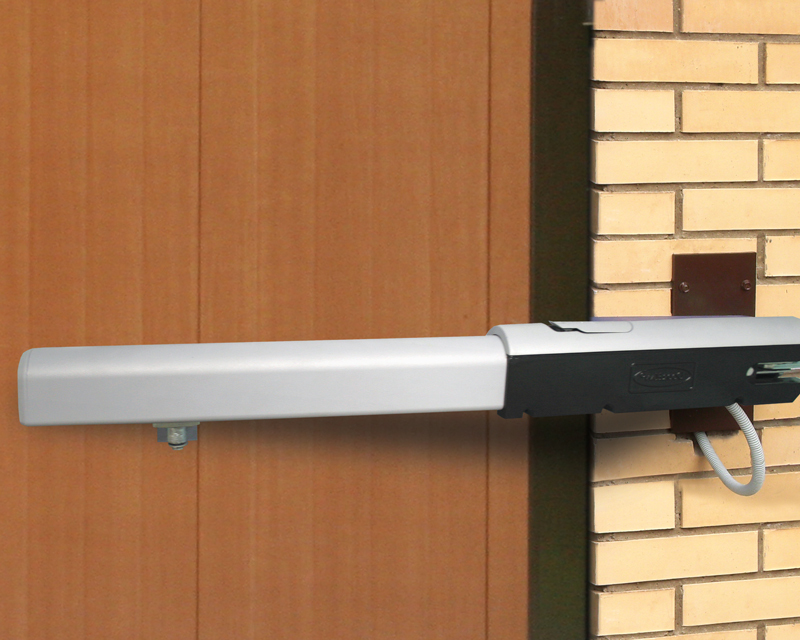 Arm operators are directly mounted to columns and open the gate with a top or bottom mounted arm. Besides they offer a key-operated release device which makes it possible to open and close the gate manually if power is lost. These operators can open the door leaf both inwards and outwards.